Abstract: In this month’s MJ Studies Today column, Kerry Hennigan looks at resources that tell positive stories of Michael Jackson at Neverland Valley Ranch. These books present first-hand narratives completely at odds with the negative media that has recently been circulating about the ranch and its owner and his purpose for creating his own amusement park. Hennigan, Kerry. “MJ Studies Today XL (14-04-2019).” The Journal of Michael Jackson Academic Studies 6, no. 4 (2019). http://michaeljacksonstudies.org/mj-studies-today-xl/. 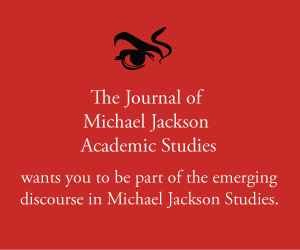 The Journal of Michael Jackson Academic Studies asks that you acknowledge The Journal of Michael Jackson Academic Studies as the source of our Content; if you use material from The Journal of Michael Jackson Academic Studies online, we request that you link directly to the stable URL provided. If you use our content offline, we ask that you credit the source as follows: “Courtesy of The Journal of Michael Jackson Academic Studies. This is what Michael Jackson said about his home in California’s Santa Ynez Valley in 2002. Thanks to many misguided and some very deliberate attempts by his critics to paint Michael Jackson’s Neverland Valley Ranch as a sinister place, the truth is quite the opposite. Before it was despoiled by false accusations, police raids and journalists desperate to project negativity where there was none (e.g. Bashir “Living with Michael Jackson” 2002) Neverland was exactly what Michael created it to be – a place of happiness. Fortunately, there are firsthand accountswritten by individuals who knew the King of Pop while he was in residence. While their books are not the usual, annotated resource texts we would normally reference for MJ Studies, and despite some minor timeline errors with respect to what happened when during Michael Jackson’s busy life and career, these titles, written predominantly from memory, do contain insights that most resource texts lack. To begin with Jackson’s purchase of the property: Gloria Rhoads Berlin’s 2010 book “Michael Jackson: In Search of Neverland” is her personal perspective as Michael’s real estate agent. But she knew him and his family long before, being a near neighbor to the Jackson family in suburban Encino where Michael lived prior to purchasing his dream property. As Berlin explains, the purchase of Neverland was Jackson’s chance to live on his own – away from other members of his family; to have the space for his beloved animals; to build his own amusement park and to play host to sick and underprivileged kids. She also writes of Michael’s spiritual side and of praying with him at the ranch. She writes of his belief in the healing power of music. She also tells of his confessions of loneliness when on tour; his striving to excel at his craft, and his love for children but fears (then) that he may never father his own. Ms. Berlin’s book can be read as a prelude to a similarly slim but insightful volume by one of Jackson’s neighbors, William B. Van Valin II MD. “Private Conversations in Neverland with Michael Jackson” is another collection of anecdotes, and vignettes of life at Neverland. Valin tells of visits late into the night with Michael, his children and his staff, meeting his friends and returning his hospitality in the Valins’ own home. Some things will stand out – for example, the elephants trashing a birthday party on their daily walk down to the house; and the theft of antiques by some of Michael’s own staff. There are plenty of examples of Michael Jackson behaving like a big kid, enjoying himself, having fun and encouraging others to have fun with him; whether it be watching movies in his private cinema, playing arcade games, riding the bumper cars (of which he was the most reckless driver!) or just hanging out watching DVDs and having late night snacks. This is consistent with what we have heard from other MJ “insiders” and observers and confirms a lack of anything of a sinister nature in Jackson’s activities. Another book comes from a former employee who more than appreciated the opportunity to work at Neverland. Ray Robledo’s “Behind the Gates of Neverland. Conversations with Michael Jackson”, co-authored with Lori Armstrong, provides information on the day-to-day running of the ranch. Through Robledo we meet others who work there, including Marvin and Linda who looked after the animals in Michael’s zoo, and the animals themselves – the giraffe, the lion, the chimps and more. From the time he takes over care and control of the amusement park, Robledo is told by his boss to “Call me Michael, please.” And that is when their friendship began, says Ray. Initially published as an eBook, “Behind the Gates of Neverland” is now also available in a paperback edition. The one thing I will say about the latter is that it is a shame that the two photographs of Jackson used on the cover of the paperback were both taken prior to his purchase of Neverland and are obviously (to fans in the know) used out of context with the period covered in the book. Like minor errors in the narrative, the choice of cover images unnecessarily calls the book’s credibility into question. In addition to details on the development of the amusement park and all its rides, Swinson’s book comes with some very useful resources in the Appendix, including a partial transcript from an interview the author gave with Brad Sundberg on the late Rev. Dr. Catherine M. Gross’ radio show “A Place In Your Heart”. Rob also lists online sources for articles and videos of Neverland and interviews with some of Jackson’s other close associates such as Sundberg and artist David Nordahl. In the end, of course, Neverland was cruelly “invaded” by the outside world. It was raided twice by the LAPD and Santa Barbara County Sheriff’s office (in 1993 and 2003 respectively) and despite the Not Guilty verdict in the 2005 criminal trial, the ranch had been despoiled for Michael. His attorney, Thomas Mesereau warned him that to continue to live there was to remain a target. So, the man who wanted to be Peter Pan and forever remain a child at heart, left the country of his birth for a year and a half, and on his return, based himself in Las Vegas before moving to Los Angeles ahead of starting rehearsals for “This Is It”. Following Jackson’s shock passing in June 2009, fans began flocking to the ranch with their flowers, messages and tokens of love and loss. If evil had been visited on Neverland as a result of those attempting to extort money from its owner, then the love showered on it – and on Jackson – by his fans, has had a cathartic affect for those who visit it. One of these is Michael’s daughter Paris, who returned briefly in 2011 and said of the experience: “I cried and cried. It’s beautiful there. It still has good energy. I think it should be restored to how it used to be so that the children who couldn’t have a childhood could have fun there. That was his goal— like kids in a hospital. They should restore all the rides and everything. As soon as I’m an adult, I’m on it. Count on it.”At present Neverland is still on the market – its next chapter remains to be written. Photo montage by Kerry Hennigan using photographs by Harry Benson for the Architectural Digest. No copyright infringement is intended in this educational, not-for-profit exercise.